Cooperative relaying for a system that consists of different configurations of a collocated and uniform linear antenna is analyzed. The amplify-and-forward relaying (AF) and selection combining (S-AF) schemes based on maximal ratio combining (MRC) method for singleand multi-relay are investigated. In this study, the bit-error-rate (BER) expression for collocated and uniform linear antenna in cooperative communication system over flat Rayleigh fading channel is derived. The result for 3-element collocated antennas (tripole) shows improvement in performance over dual-polarized antennas. Also increasing number of tripole antenna does not add improvement. Relay systems have been widely investigated in wireless communications as a way to overcome deep fading and therefore enhance signal quality in multi-path fading channels. In relaying network we have a two-hop link where the signal is transmitted in the first hop from a source to a relay node and in the second hop the signal at the relay node is retransmitted to the destination. At the same time, the source will transmit another copy of the signal directly to the destination. Therefore, the signal is transmitted from the source directly and via a relay node, so, the destination will receive the transmitted signal from two links referred as source-relay-destination and source-destination link. Now the signal received at the relay is forwarded to the destination by implementing two schemes known as amplify forward (AF) and decode forward (DF)  - . In AF, the received signal at relay is amplified and re-transmitted. In DF, the received signal at relay is decoded then retransmitted again to destination. Earlier research was focused on employing singleand multi-antenna system for cooperative diversity technique to exploit fading channels   . In  , the symbol error probability was derived for dual hop with single antenna in Rayleigh and Nakagami m-fading channels and the outage performance of communication system was investigated for AF and DF relaying network. Cooperative communication for a multi-relay network with multiple-input multiple-output network to exploit spatial diversity is investigated in  . Here, the relays and users cooperate in sharing information which in turn increases capacity and coverage area of wireless communications. Other techniques utilizing relays equipped with multi-antennas and multi-relay network are investigated where an infrastructure-based relaying deploying multi-antennas on a relay is presented in the work of Adinoyi et al.  . To decrease number of relay nodes and thus reducing cost, a single antenna is deployed at source and destination while multi-antennas are fixed on receiver side of relays. The receiver criterion is based on threshold relaying with MRC and selection combining. Also cooperative communication is studied when relay selection scenario applied for the best relay link. It was shown that selection relaying can achieve same diversity order as AF  - . Furthermore, deploying multi-antennas at the source or relays receiver side shows improvement as number of antennas increased from 1 to 2 for high and low SNR but increasing antennas more than 2, did not add significant improvement in performance at high SNR   . Since future wireless system trends require wireless terminals small in size, the advantage of using multiple antennas at a relay node will be limited by the space separation between antennas and thus correlation of wireless terminals will affect the system performance. In this paper the study of cooperative communication is applied for collocated antennas known as “vector antenna” (VA) implemented at a relay node over independent and identically distributed Rayleigh fading channels. Vector antenna can independently detect or excite all six EM field components enabling the communication system to access additional signaling dimensions, which may enhance performance in the same way as antenna arrays  . These extra dimensions can provide additional diversity to combat signal fading, allow the system to spatially leverage bandwidth by transmitting multiple separable signals in the same bandwidth, and improve the suppression of interference in a multiuser environment. Also, “tripole” antenna that consists of three mutually-orthogonal dipoles by Andrew et al. have shown through simulation, that this antenna improves on the capacity of scalar and dual-polarized antennas for a simple propagation example involving a line-of-sight component and one reflected path. The end-to-end performance for a relay network employing vector and ULA antennas based on MRC are investigated and using AF and selection schemes and an expression for bit error rate for BPSK is derived. Since we are investigating the advantage of collocated antennas in relay network, AF and selection schemes are selected. The organization of this paper is as follows: in Section 2 the system model is introduced for VA and ULA in a relay network and the output SNR is analyzed. In Section 3 the BER analysis for AF and S-AF schemes is presented. Finally, simulation of the system presented is compared with theoretical values of the equation derived. BPSK modulation is considered for a relay communication network that consists of two-hop channel as shown in Figure 1. In the first hop signals are transmitted from a single linear antenna at the source to the receiver side of relay node and in the second hop the received signal is transmitted from the transmitter side of relay node to the destination. The receiver side of the relay node is equipped with a vector antenna and the transmitter side with a uniform linear antenna. The source and destination nodes will use a single linear antenna. The channel assumed to be flat fading slowly time varying and the direct link from source to destination is considered only in S-AF. Figure 1. Multi-relays system with vector antenna and ULA. where for BPSK modulation and independent of . (i.e. ). The fading channel is assumed to be a flat fading Rayleigh channel. The transmitted power for all participate scheme on each relay is , where is the relay number and total transmitted power . In selective scheme, the transmitted power for each relay is . The antenna setting in all simulation will be based on the following setting: the source, destination and transmitter side of the relay will employ ULA while the receiver side relay will have vector antenna that consist of either dual, tripole or 6-element antennas as specified in the figures below. Figure 2. BER for tripole antenna with multi-relays. Figure 3. BER simulation for tripole antenna at single and multi-relays. a relay did not add gain in diversity to the relay system while multi-relay network with single triple antenna would give us significant improvement. In Figure 4, simulation of 2, 3 and 6-element collocated antenna for one relay are compared. The results show that a 2 dB gain at low SNR region for 6 over 2 elements collocated antennas but no gain is noticed in the high SNR region. In Figure 5, selective relaying simulation for 2 and 3 relay network is presented. The relay with highest SNR is chosen where each relay is equipped with one tripole antennas. As the number of relays increased, diversity improve and on the same figure BER for selection is compared with all participate scheme. The results show that selection (S-AF) outperforms AF scheme in all cases considered. Figure 4. BER simulation for 2, 3 and 6 collocated antennas at single relay. Figure 5. BER Simulation for selective vs AF for tripole and relay. element vector antenna can add more gain in low SNR region over tripole case. Also increasing number of tripole antenna showing no gain is attained while increasing number of relays will enhance the receiver performance and achieve higher gain. Emamian, V., Anghel, P. and Kaveh, M. (2002) Multi-User Spatial Diversity in a Shadow-Fading Environment. IEEE Vehicular Technology Conference, 1, 573-576. 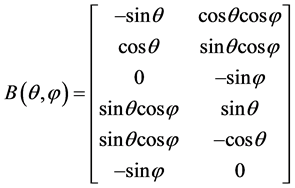 Sendonaris, A., Erkip, E. and Aazhang, B. (2003) User Cooperation Diversity. Part I. System Description. IEEE Transactions on Communications, 51, 1927-1938. Adinoyi, A. and Yanikomeroglu, H. (2007) Cooperative Relaying in Multi-Antenna Fixed Relay Networks. IEEE Transactions on Wireless Communications, 6, 533-544. Zhao, Y., Adve, R. and Lim, T.J. (2006) Improving Amplify-and-Forward Relay Networks: Optimal Power Allocation versus Selection. IEEE International Symposium on Information Theory, 1234-1238. Min, H., Lee, S., Kwak, K. and Hong, D. (2009) Effect of Multiple Antennas at the Source on Outage Probability for Amplify-and-Forward Relaying Systems. IEEE Transactions on Wireless Communications, 8, 633-637. Dey, A., Ghosh, P.K. and Gupta, K. (2011) On the Performance Analysis of Multi-Antenna Relaying System over Rayleigh Fading Channel. International Journal on Control System & Instrumentation, 2, 46. Naguib, A.F. and Paularj, A. (1994) Performance of CDMA Cellular Networks with Base-Station Antenna Arrays. Proceedings of International Zurich Seminar on Digital Communications, 1-5 May 1994, 87-100. Nehorai. A. and Paldi, E. (1994) Vector-Sensor Array Processing for Electromagnetic Source Localization. IEEE Transactions on Signal Processing, 42, 376-398.